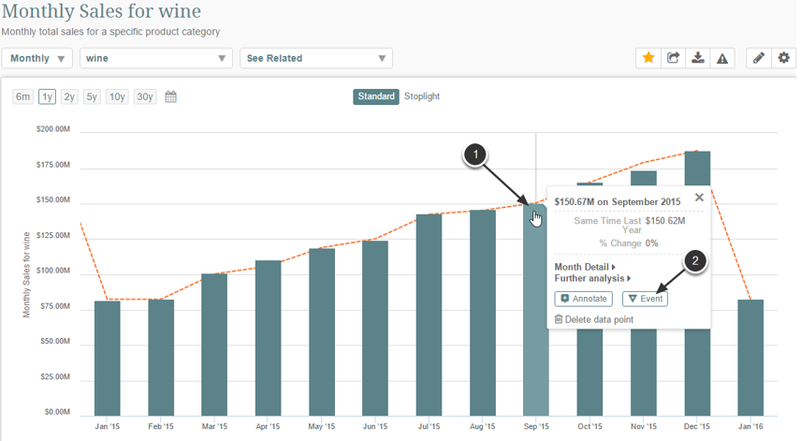 If you are an Administrator or an Owner of the Event Calendar, you can add an Event to the selected Data Point directly from the Chart Viewer. This allows you to share information about the circumstances or occurrence that may have affected results on the date or range of dates that span the selected Data Point. 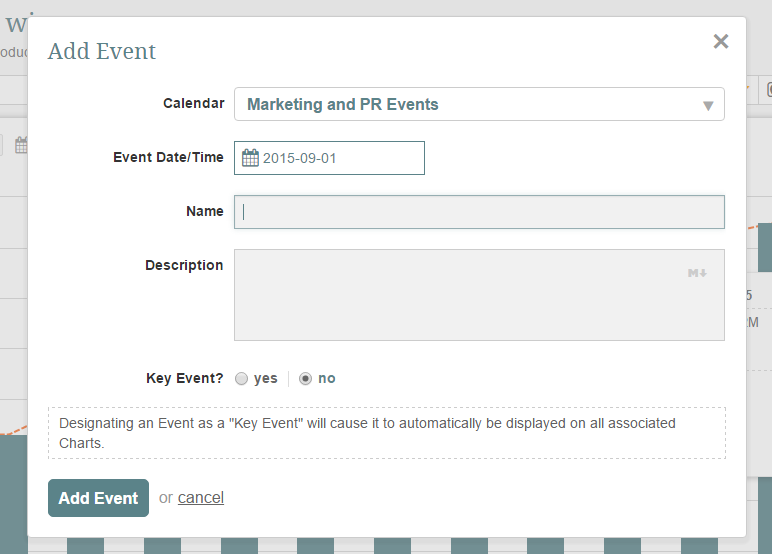 When you add an Event to an Event Calendar, it appears on Metric and Multi-Metric Charts that are associated with that Event Calendar according to Impacting or Key Event rules. For more information, see Understanding Events or Understanding Key Events.